It’s past 2 am and I should’ve been asleep hours ago. Instead, I’m sitting on my sofa typing this blog, still internally wired after my alma mater, the University of Wisconsin-Madison, won a thrilling game to advance to the Final Four next weekend. For those who are unaware or don’t care much about collegiate sports, this is a pretty big deal for both the team and their fans. The only other time the Wisconsin Badgers made it to the Final Four was 14 years ago. While I was fortunate enough to be living in Madison at that time and had connections that secured tickets for me to attend the Final Four with three friends it’s a bit different this time around. We no longer live in Madison, having moved almost 2,000 miles away to the state of Washington over two years ago. We now have six children, in March of 2000 we had an almost 5 year old and a 7 month old. 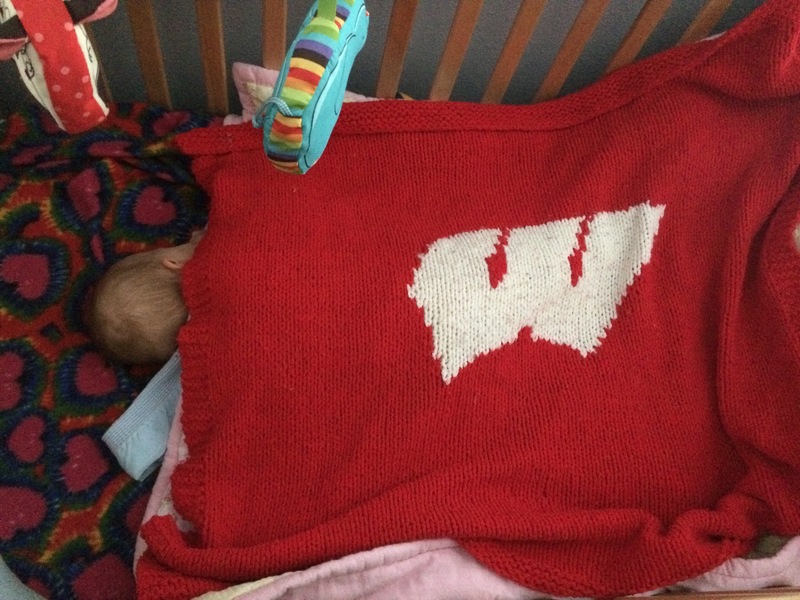 In 2000 my wife knew I was excited about the Badgers but didn’t really care about the basketball team herself. My 5 year old also didn’t really care about sports, although she likely noticed my happy demeanor when the team surprised everyone and made their run to the Final Four. This time around, my oldest two kids are now almost 19 and 14, and neither one really cares about the Badgers basketball team. But my next two kids, ages 12 and 9, are quickly becoming my basketball buddies. Both of them have now played organized basketball for two seasons and seem to enjoy the game. It doesn’t hurt that they both were the tallest on their teams. But what’s been fun for me is to see the passion for the game begin to develop in them, just like it did in me when I was their age. I have fond memories of watching buzzer beaters and upsets in the tournament, although my team was never one of the “good” ones. So, it’s been an extra special treat to experience these games with my kids. And it’s not been limited to basketball. We’ve enjoyed many games cheering on our beloved Green Bay Packers over the years, following them to two Super Bowl wins in 1997 and 2011. While I’m still a Packers fan at heart, I’ve always liked the Seattle Seahawks second best because I was born in Washington state. So, now that we live close to Seattle I’ve been able to attend several Seahawks games and they even won the Super Bowl just last month, much to my delight and the chagrin of my kids. Interestingly enough, my 3 year old daughter now loves the Seahawks (more than the Packers!). She even requested a Seahawks hat that she proudly wears with her princess dresses. So, what’s the point of me sharing this with you? It’s the shared memories that I’m making with my kids as we cheer for (or against) teams. It’s memories that I hope they will cherish as much as I do. I hope when they’re older they will fondly recall that time that Dad (me) jumped and screamed like a crazy guy when the Packers or Badgers made a big play. The memories I have of my own father watching sports on TV are not so great. He had a hard time watching the bumbling Packers of the 1980s because he grew up in the glorious Lombardi-era when the Packers were the best team in all of football. I remember him being so frustrated by the poor play that he would change the channel in the middle of the game or start shouting at the TV (like it would somehow help). While I’m passionate about my teams, I feel like I’ve done a pretty good job of not letting the disappointment of a loss bring me down too much, if at all. After all, I simply look around and see my wife and kids and realize that there’s so much that I’m thankful for that makes a win or loss by my team pale in comparison. After all, it’s just a game. Still, being a little bit crazy for a few moments while we’re watching our team in a close game is so fun. Tonight, while the game was finishing, I was feeding my 9 month old while keeping an eye on the end of the Badgers game. In the adjoining living room my son and daughter were cheering and groaning with each basket. While I didn’t know if our team would win in the end, I was excited to see that they were coming down with a severe case of March Madness! On Wisconsin!